Anna Sewell, author of Black Beauty. When Queen Victoria came to the throne in England in 1837, industrialization was taking hold and more and more young men and women left their farms to make a living working in factories and manufacturing companies. Cotton factories allowed Britain to produce more than half the world’s supply of cotton and coal mining around Newcastle was expanding to meet demand. Railways were booming and goods were moved to shipping ports which also gave ship building a boost. However while advances in manufacturing, medicine and education saw many leaving life on the farms in the country, life for the masses was certainly not easy. Life for animals was no better and a horse was viewed as a beast of burden to be worked till natural death, disease or exhaustion claimed it. One young lady who actually did do something about these atrocities towards horses was Anna Sewell, author of Black Beauty. 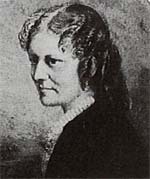 Anna Mary Sewell was born in Great Yarmouth, Norfolk, England into a devout Quaker family. Her father was Isaac Phillip Sewell (1793-1879), and her mother, Mary Wright Sewell (1798 – 1884) was a successful author of children’s books and a kind gentle person who instilled values into her two children. Throughout their lives both Mary Sewell and her daughter Anna were involved in good works. The family later moved to Stoke Newington and a few years later at the age of fourteen Anna slipped and injured both her ankles. The injury was never set properly, she was disabled for the rest of her life and because of this Anna had to use a crutch for walking and was unable to stand for long periods of time. Anna had to take carriages and buggies when she travelled due to her injury and it was this exposure to horses and carriages that first alerted her to the way they were treated. Anna’s and her mother were devout Quakers and although they changed to the Church of England, Anna still held fast to her Quaker beliefs in kindness to animals. While in Europe where she went for her health, Sewell met artists and other writers including Lord Alfred Tennyson, people that she might never have met in her former social circle. At home she helped her mother write and edit popular evangelical books for children. Anna’s only book was the famous story of Black Beauty, written to bring attention to the mistreatment of horses. It was written towards the end of her life, her health was declining at this time and she was usually confined to her bed where her mother transcribed her notes. Her goal, she said was “a special aim being to induce kindness, sympathy, and an understanding treatment of horses”. The book took her six years to write but she lived long enough after its publication to see its initial success. It is considered a children’s classic and it had a strong moral purpose. 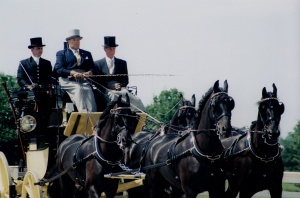 It was also instrumental in abolishing the cruel practice of using the check rein on driving horses (a short rein used to prevent a horse from lowering its head). Black Beauty was sold to the publisher Jarrolds and was published just 5 months before her death. Anna died of hepatitis or tuberculosis in November 1877 . She is buried near Buxton and her home has been turned into a museum.